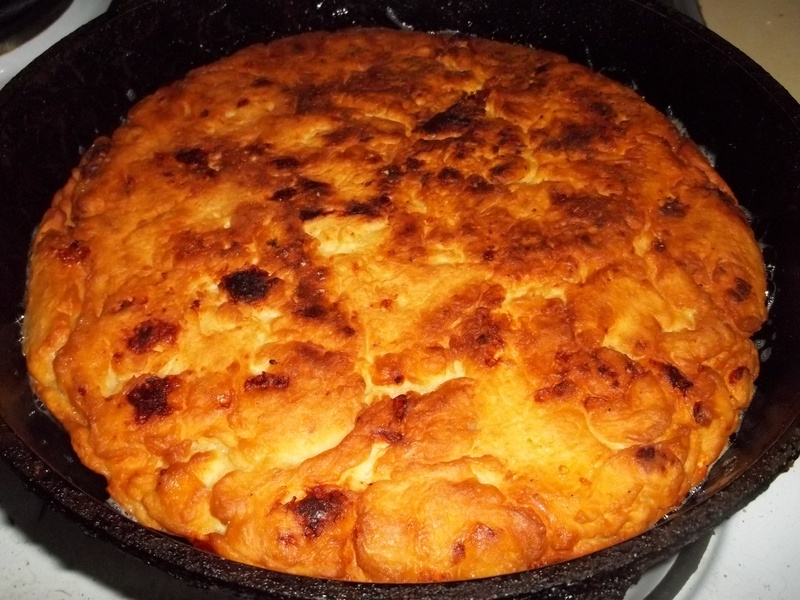 Khachapuri (Georgian: ხაჭაპური), is a cheese bread that is justifiably considered to be one of Georgia’s national dishes. Different regions of Georgia have their own type of khachapuri. 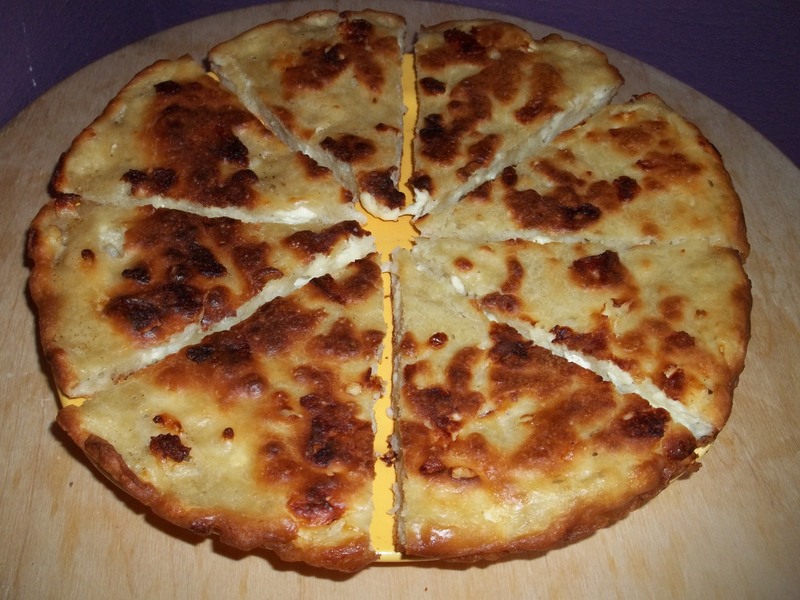 In this recipe we show how to make Mokhrakuli Khachapuri (Georgian: მოხრაკული ხაჭაპური). This type of khachapuri is called a “lazy khachapuri” as it is fried, not baked, and takes much less time to make than the traditional baked khachapuri. Ingredients: 300 grams of flour, 3 eggs, 300 grams of imeretian cheese (mozzarella cheese can be used), salt (quantity dependent on personal preference), 1 tsp of sugar, half tsp of baking soda, 200 ml water, and oil. 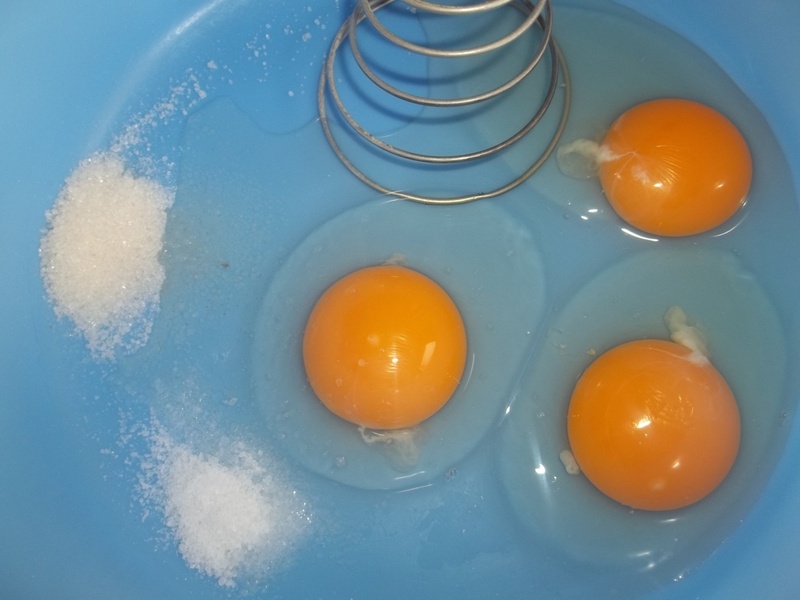 Preparation: Add three eggs, salt (quantity dependent on personal preference) and 1 tsp of sugar to a mixing bowl and beat. 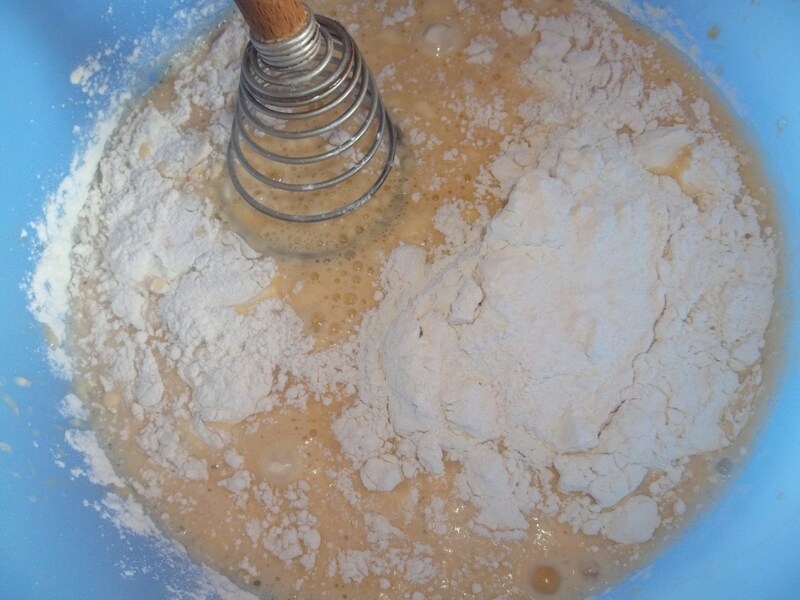 Add 200 ml of water and 300 grams of flour and mix. Add a half tsp of baking soda. Mix thoroughly, then cover the bowl with a cloth and leave for 15 minutes. 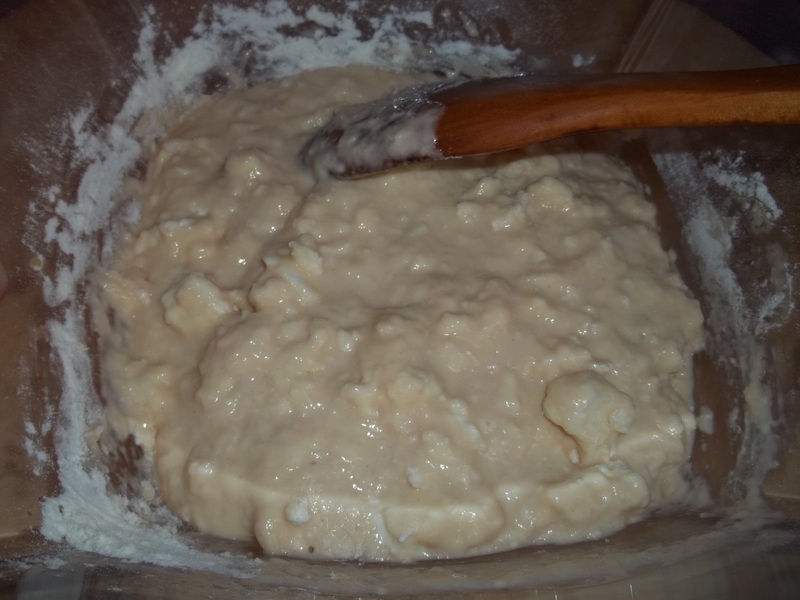 After 15 minutes, add the cheese to the mixing bowl. Mix thoroughly with a wooden spoon. Add 35 ml of oil to a pan and heat. 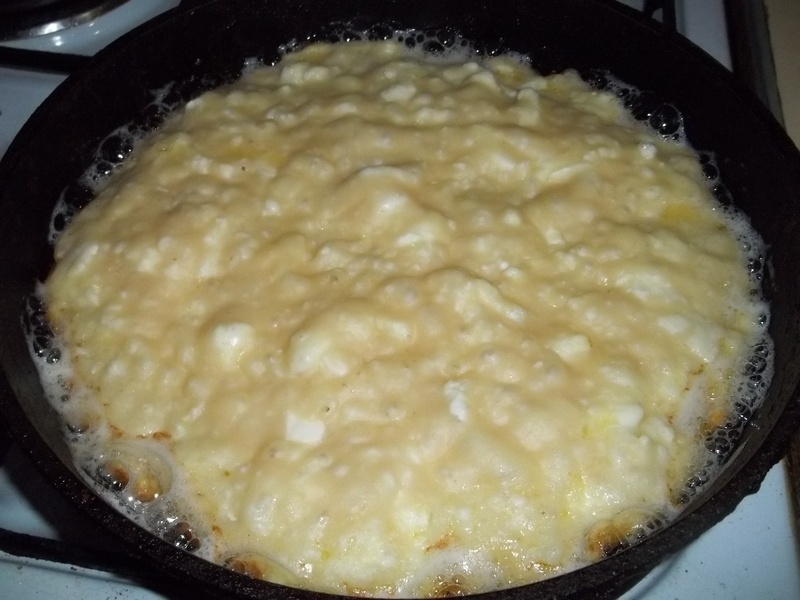 When the oil is hot, pour the mixture in and spread it so that it covers the whole pan to an even depth. After 7 minutes, carefully turn it over and continue to cook for a further 7-8 minutes. The khachapuri will become golden brown and crispy when fully cooked. 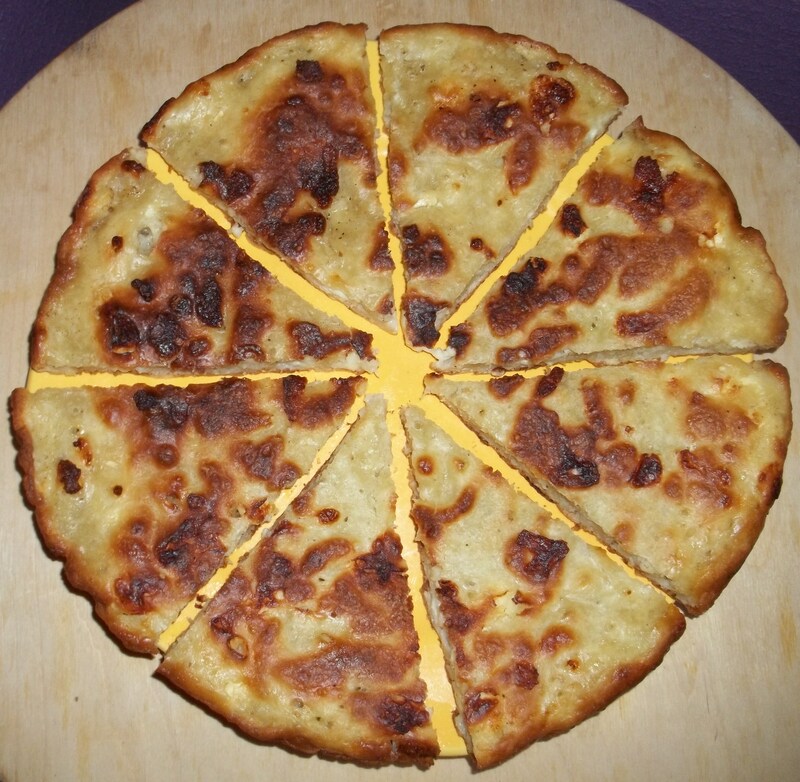 To avoid breaking or tearing the khachapuri use a dinner plate to remove it from the pan. It requires a careful flip. 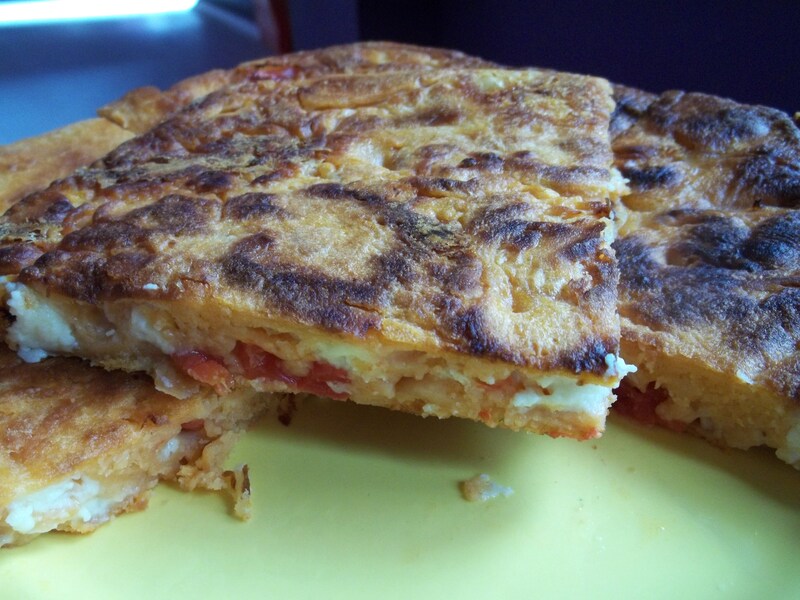 Mokhrakuli Khachapuri can also be made with tomatoes and sulguni cheese. Follow the recipe above and at the stage of adding cheese to the dough mix add two chopped tomatoes, chopped sulguni cheese and 1 tbs of tomato puree. Cook in exactly the same way as the recipe for Mokhrakuli Khachapuri. Check out our other khachapuri recipes: Megruli Khachapuri (Georgian: მეგრული ხაჭაპური); Acharuli (Georgian: აჭარული ხაჭაპური) and Imeruli (Georgian: იმერული ხაჭაპური).